Only one ep out so far, but it is pretty cute. The interactions between cat and man are about what I would expect for a shut-in. And the voice acting of the cat is adorable. I'm looking forward to seeing how this show pans out, as there is sure to be many comedic moments to come with his friends and editor. This looks to be an Anime that explores personal growth; of the human and the cat. Subaru is a shy, sensitive, anti-social but successful writer. While visiting the graves of his parents, he meets the Cat. Taking it in, he sees potential in using it as a Muse for his next writing. The cat talks via inner monologues, hearing about Humans, but never being close to one. This looks to be a very gentle anime with bits of comedy, and Subaru having his freakouts, but I think with his initial personality he will grow as a person and become more open. While I won't say this is a Must Watch, I would be interested in watching how this series plays out. I was highly tempted to give this show a 1 star since it seemed to focus on the silly human mascot character for so much of the first episode. These giant mascots only serve as fan service, anyway. It was practically halfway through the episode before the star appeared on the screen. If it weren't for the scenes featuring fish sausages and feeding moments, I was going to give up watching and resume my important task of watching the window for squirrels and birds. You humans should bow before us and thank us by name that we keep you safe from those murderous sadists. The only reason you don't wake up missing fingers and toes every morning is because we're on guard. Could still use more held shots of birds. Maybe some jingling balls... cardboard boxes... you know, REAL television. All kidding aside, this is a pretty harmless show, though I can't really say that it held my interest for very long. Kind of like Youkai Elegant Apartment Life, this is pretty much gateway anime, the stuff you can watch with your parents in the room and they won't think you need medication. It could stand to be a bit more wacky, though. Honestly, anyone who's spent more than an hour on Youtube has already seen all the silly things cats do, and the author's delusions aren't QUITE over the top enough to really play up the laughs. Still, it's junk food anime. You could do worse, especially if you don't have a cat or need to just chill after a stressful day of work. The art and animation is weirdly underwhelming, and the characters all move stiffly. I would have preferred them to take a less detailed approach and have more imagination in the delusions of the protagonist than having detailed characters that are clearly too much for the animation staff to handle. Final Verdict: You could do worse, but it could stand to either make things a lot more surreal or have the cat be a lot weirder... like Maru weird. 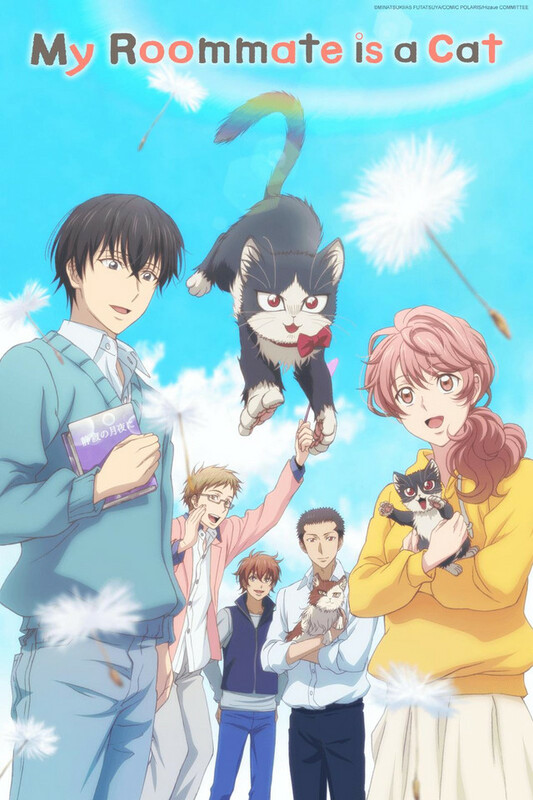 Also, they better not take this in a dark direction at the end where the cat gets hit by a car or mauled by a dog or something... there's enough grimdark in this season's lineup already as it is. Other recommendations: Watch some Youtube, Tanaka-Kun is Always Listless, Youkai Elegant Apartment Life. I was truly bored when I started watching this show. However, after the 1st and 2nd episode, I am loving it! The first episode provides a backstory for the main protagonist which is quite slow but really needed. Moreover, the second episode is when relationships evolve between him and the people/animals around him. Please give this show a try it will surprise you! The sheer masterpiece of all this so far is that you can relate to every interaction as if it were you in the story! I love the art style the Haru's (The Cat) way it gives both the Human's point of view and Haru's (The Cat). I would highly recommend this to anyone who loves animals and relatable stories.